Located in the centre of Greece, Athens has many close islands that can be accessed through a short and comfortable ferry ride. Greek islands near Athens can be equally fantastic as far away islands and many of them remain off the beaten track even in high season. Here are our favorite islands close to Athens that we suggest and can be reached quickly by ferry. Hydra is among our most favourite Greek islands near Athens. 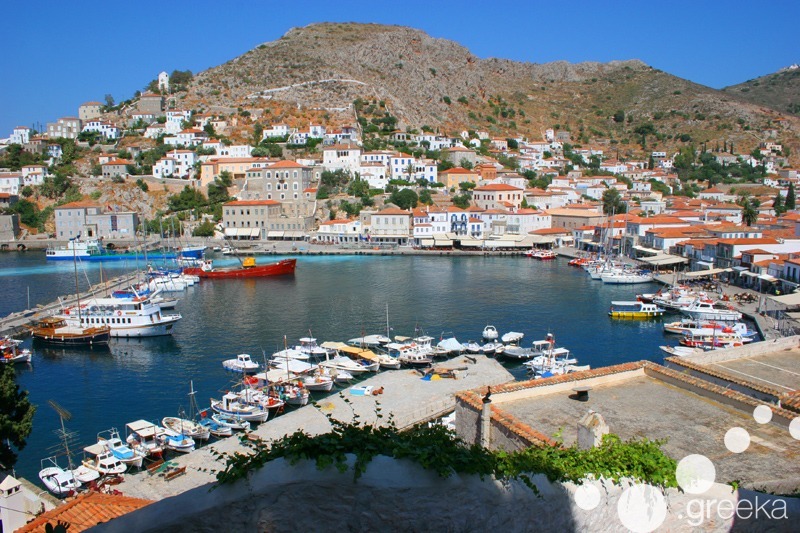 Less than 2 hours ferry ride from the port of Piraeus, the main port of Athens, Hydra island is a charm at first sight. In fact, it has been a place of inspiration for many Greek and international artists and writers. This small island of the Saronic Gulf became famous to the world when the Hollywood movie Boy on a dolphin, starring Sophia Loren, was filmed there (1957). In the two decades that followed, Hydra acquired a cosmopolitan character and kept attracting many celebrities every summer. Today, although the island has special charm due to its elegant mansions and the stone architecture, nightlife is less busy but very romantic. The fantastic thing about Hydra is that no vehicles at all are allowed on the island and transport is done by foot or boat. How to go: There are ferries to Hydra many times per day departing from the port of Piraeus, Athens. The trip lasts from 90 min to 2 hours, depending on the vessel. Andros is the northernmost island of the Cyclades group and located very close to the peninsula of Attica. One of the most beautiful Greek islands near Athens, Andros island remains off the beaten track even in high season, therefore it makes a wonderful place for relaxing family holidays. Batsi, Agios Petros, Kypri and Golden Sand are among the most beautiful beaches in Andros, while a drive around the island can bring you to fantastic crystal beaches where there is high possibility to be totally alone. 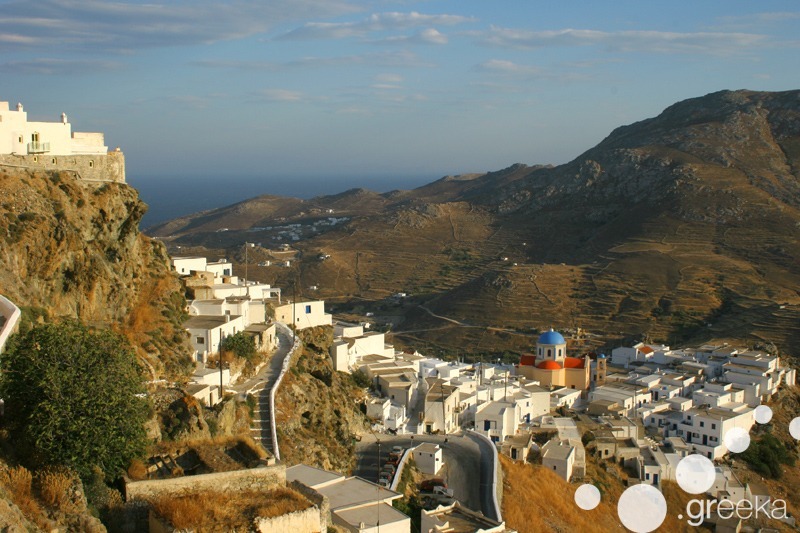 The most special spot in the Greek island of Andros is the main town, called Chora. This town distinguishes for the Venetian and Cycladic architecture, dotted with elegant mansions next to small white houses. As the locals became wealthy from marine trade in the early 20th century, Chora has a special cosmopolitan character. How to go: Ferries to Andros depart only from the port of Rafina, on the north eastern side of Athens. Rafina is the closest port to the airport of Athens (only 30 min by bus), which makes it very convenient for tourists who want to hop directly to the islands, skipping a visit in the Greek capital. The ferry ride from Rafina to Andros takes 2 hours. Aegina is the closest island to the port of Piraeus, Athens. If you are looking for Greek islands near Athens, then Aegina island should be the first thing to come in your mind. This is a place that combines relaxing beaches, interesting sights, lounge nightlife and cultural events. In fact, many art exhibitions, seminars and festivals take place in Aegina every summer at many cultural venues around the island. Local sights not to miss include the Ancient Temple of Aphaia, the Archaeological and the Folklore Museums and the ghost village of Paleochora, among others. 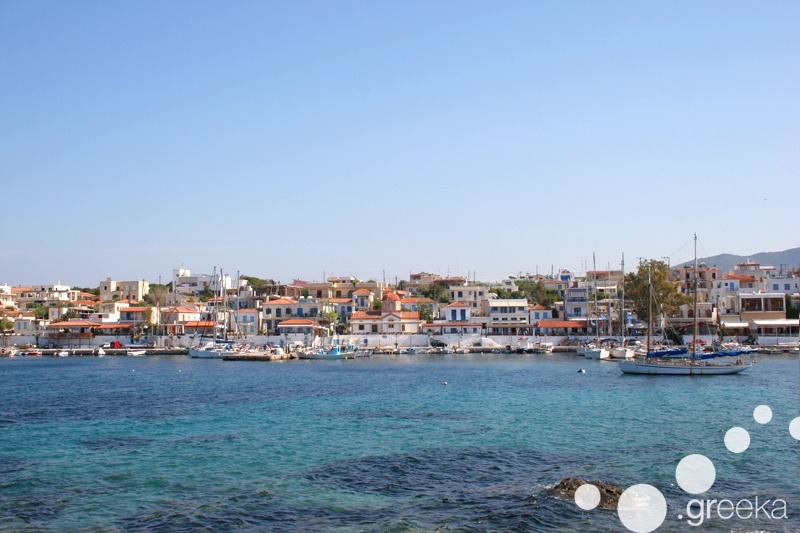 Beaches in Aegina are small and cozy, ideal for families with kids. How to go: There are daily and frequent ferries to Aegina from Piraeus port, Athens. The ferry trip takes about 30 min (with hydrofoil ferry). One of the most beautiful and secluded islands of the Cyclades, Serifos island has a unique Cycladic architecture and wonderful sandy beaches. Most beaches in Serifos are non-organized, except for the tourist beaches, like Livadi, Livadakia and Megalo Livadi. The beautiful main town called Chora is found on the slopes of a hill and amazes visitors with the traditional style. 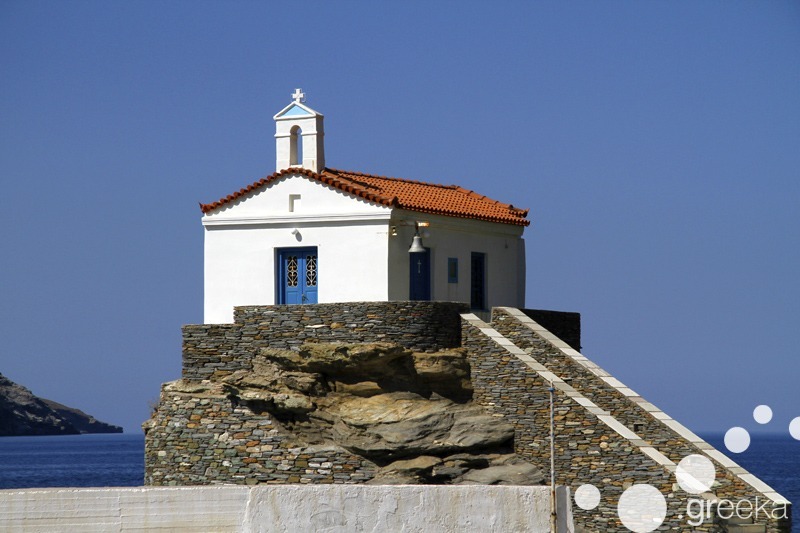 On top of the hill there is a white church offering breathtaking view to the Aegean Sea. How to go: There are ferries to Serifos almost daily in summer, departing from Piraeus port. The ferry ride is 2 and half hours (by highspeed ferry). Occasionally in summer, there is also ferry to Serifos from the port of Lavrion, on the southern side of the Attica peninsula, about 2-3 times per week.